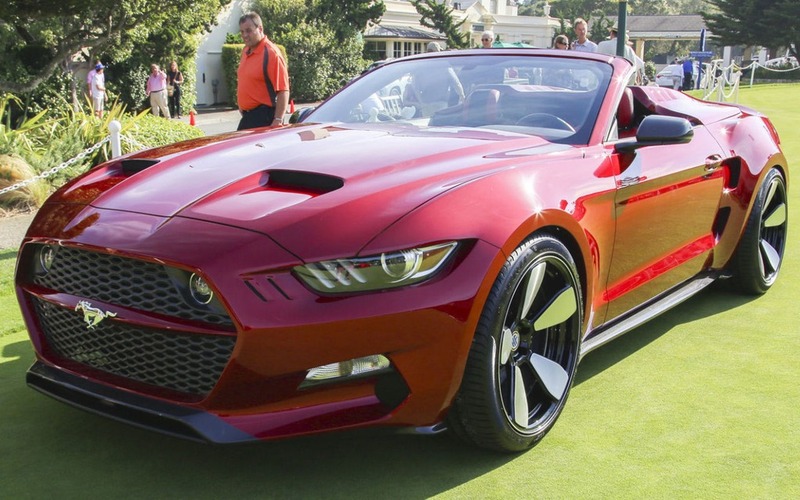 How would you like a Ford Mustang with the specs and performance of an exotic supercar? This is what Henrik Fisker is offering: Fisker's Rocket (built by Galpin Auto Sport) might be based on Ford’s Pony Car, it has been completely overhauled. Also: How About A Truly Unique Aston Martin Vanquish? Every panel is made from carbon fibre (and designed by Mr. Fisker himself), the interior is crafted from the finest leathers and the 5-litre V8 that was judged adequate by Dearborn’s engineers has been heavily reworked and fitted with a supercharger to develop 725 horsepower. At the Pebble Beach Concours d’Elegance, Fisker unveiled a new version of its extreme muscle car; by using a convertible instead of a coupe, it has created the Rocket Speedster. The most obvious change is the roof: by using a long tonneau cover entirely made out of carbon fibre, the four-seater Mustang has been converted into a two-place roadster. While Galpin Auto Sport and Fisker have yet to announce a production date or a price, we can reasonably expect that the car will be produced shortly in very few numbers; as for the price, a six-figure bill of sale will probably accompany each car.